Selections from Stanley Roseman's journal, autobiographical writings, and commentaries. Roseman's work has received wide critical acclaim, including laudatory reviews in The New York Times and The Times, London, and is represented in important museums and private collections. Recognized as a master draughtsman, Roseman was honored in 1983 as the first American artist to be given a one-man exhibition at the Graphische Sammlung Albertina, Vienna's renowned museum containing one of the world's greatest collections of master drawings. Edited and prepared for the Internet by Ronald Davis. 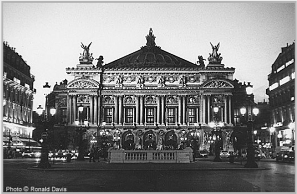 of the Paris Opéra, 1994. "Line is the essence of a drawing." 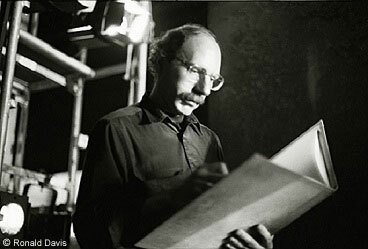 To accompany his drawings, Roseman has written about his work at the Paris Opéra, from his invitation in 1989 and through the 1990's. The artist also provides historical information on that great, cultural institution and its important contribution to the development of classical ballet. He speaks about his working methods and his love for the dance and acknowledges: "To the dancers, who have given me inspiration for my work, I express my profound gratitude." 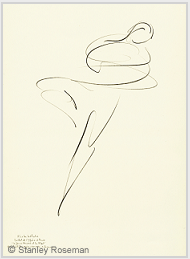 On the Journal website page Roseman recounts his first days of drawing the dance at the Paris Opéra. Roseman remembers with appreciation Bier Ante Ris'ten for her encouragement of his work and for introducing the artist to members of her family, who kindly sat for their portraits, as did Ris'ten herself. 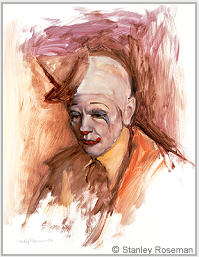 ''Circus clowns are one of the glittering joys of all of our lives, whether we are young or old,'' states The New York Times in its superlative review entitled ''Spirit of the Clown'' dedicated to Roseman's work created during his sojourns with the Ringling Bros. and Barnum & Bailey Circus. "Paintings by Stanley Roseman glow with a shiny dignity"
Roseman's interest in the nomadic Saami as a subject for his work took him in 1976 to Norwegian Lappland. There, beyond the Arctic Circle, the artist painted portraits of the Saami, an independent, reindeer-herding people who maintain their centuries-old, nomadic way of life. Correct Usage of the Word "Monk"
Roseman's landscapes express a deep feeling for Nature and constitute a major part of the artist's oeuvre. 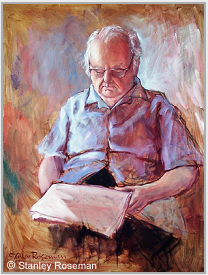 "At my first Trappist monastery that spring and summer of 1978, I had the memorable experience of a friendship with Father Benedict and painting a portrait of the genial, eighty-four-year-old Scotsman with an endearing sense of humor and of great kindness and deep spirituality." Behind the monastery walls where Roseman was invited to share in the day-to-day life in the cloister, he created an unprecedented oeuvre of paintings and drawings on the monastic life. 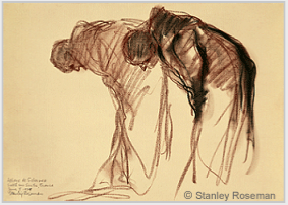 "Stanley, your beautiful paintings and drawings devoted to contemplation and prayer promote a spirit of friendship and understanding between Christians and Jews and all people of goodwill." 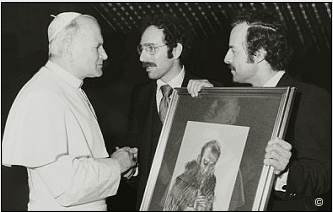 The Journal website page recounts an audience with Pope John Paul II at the Vatican when Roseman and Davis presented the Pontiff with a gift of the artist's drawing from the Benedictine Abbey of Tyniec, near Krakow. The sentence quoted above is from Roseman's text entitled "On Drawing and the Dance'' from the fine art book Stanley Roseman and the Dance - Drawings from the Paris Opéra, published Paris, 1996. This website page presents selections from the artist's text, accompanied by his drawings. of his great talents as a draughtsman." The Italian Renaissance of the fifteenth century saw the emergence of autobiographical writings by an artist with Ghiberti's Commentaries, Book II. In the following century, Dürer records his travels abroad in Diary of a Journey to the Netherlands, and Cellini recounts his life in what has become a widely-read autobiography. Vasari, the celebrated sixteenth-century Florentine architect, painter, and biographer of Lives of the Artists, also writes of himself and his work in his Ragionamenti, or "Description," which he appended to the Lives. As Dürer did with his Netherlands diary, Gauguin relates his sojourn on Tahiti from 1891 to 1893 in his journal Noa Noa. Delacroix's Journal, written from 1822 to 1863, comprises three volumes; and Van Gogh's many letters over the years to his brother Theo constitute, in effect, an autobiography of the artist. 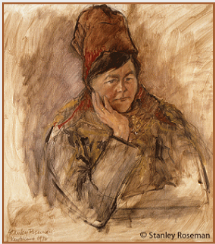 In the twentieth century, artists' reminiscences include, to mention three, Rouault's Souvenirs intimes, Benois' Memoirs, and Chagall's Ma Vie. Roseman's journal and autobiographical writings include the artist's memorable experiences in the exciting world of the performing arts, in particular, opera, theatre, dance, circus, and the concert stage; his travels beyond the Arctic Circle to Lappland, where he painted portraits of nomadic Saami people; and his sojourns in Benedictine, Cistercian, Trappist, and Carthusian monasteries throughout Europe, which resulted in an extensive oeuvre of paintings and drawings on the monastic life - a life centered on contemplation and prayer and the singing of the Psalms. Landscapes are also an important part of Roseman's oeuvre, and the artist writes of painting and drawing en plein air, from seacoasts to rolling pastures, woodlands, and mountainous terrain. Roseman covers a wide range of subjects and events in diary entries and memoirs. He writes on his working methods and his beliefs on art. Roseman writes with sincere gratitude of those who have been of encouragement to him in his career and have expressed appreciation and praise for his work. He also strongly confronts his detractors who inevitably appear in the life of an artist who has gone his own way counter to the dominant art movements of his time. Roseman pays homage to those who have been deeply meaningful in his life, to steadfast friends, and to art collectors who have made his life as an artist possible. With a cordial invitation from the administration of the Metropolitan Opera in 1972, Roseman began an extensive work on the performing arts, a work that culminated with the American Bicentennial exhibition Stanley Roseman - The Performing Arts in America. The exhibition, encompassing opera, theatre, dance, and the circus, toured the United States from December 1975 through 1976 and concluded at the Library and Museum for the Performing Arts, Lincoln Center, New York City, winter-spring, 1977. 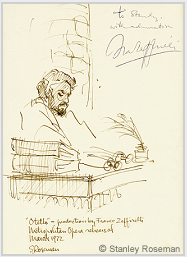 On the Journal website page Roseman recounts drawing at the dress rehearsal of Zeffirelli's production of Verdi's Otello and the memorable meeting with the eminent Director. 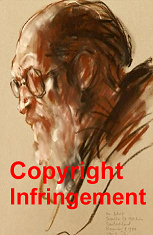 "Use of a copyright protected work without its owner's permission may be a civil infringement and/or a criminal offence depending on the circumstances." On the Journal page, Roseman confronts the offenders responsible for the copyright infringement and indicates the websites that published the drawing without his authorization and have eliminated his signature from the drawing. Roseman's critically acclaimed oeuvre on the monastic life comprises the Benedictine, Cistercian, Trappist, and Carthusian Orders - the four monastic orders of the Western Church. The artist's ecumenical work, begun in 1978 and realized in the enlightenment of the Second Vatican Council, depicts monks and nuns of the Roman Catholic, Anglican, and Lutheran faiths. This extensive work includes over sixty monasteries in Europe. The page provides brief descriptions of the Monastic Orders and other religious Orders in the Western Church. Roseman's work on the monastic life includes drawings of monks and nuns at Vigils, the first and the longest of the canonical hours. The artist writes about drawing at the Night Office and about the ancient Judeo-Christian tradition of psalmody in monastic life. 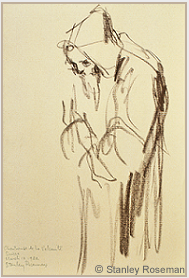 A Carthusian Monk at Vigils, 1982, Chartreuse de la Valsainte, Switzerland, presented here, is conserved in the Musée Ingres, Montauban. Roseman offers information on Vigils in early monastic communities of the Middle East: the Jewish monastic settlement at Qumran, near the Dead Sea; and the Therapeutae, or Jewish eremites, near Alexandria, both of which flourished from the second century BC to the first century AD. Roseman speaks of the Desert Fathers, fourth-century Christian monks in Egypt, and on the observance of the Night Office as prescribed in the Rule of St. Benedict. This drawing by Stanley Roseman is reproduced and disseminated on the Internet without the artist's permission. The image seen on the Internet is presented here along with a notice by the artist indicating "Copyright Infringement." Those responsible for this copyright infringement have published the drawing with the artist's signature eliminated from the lower right side of his drawing. Furthermore, the offenders are publishing incorrect information regarding the Roseman drawing. Roseman's signature has been eliminated from the lower right side of his drawing. Roseman raises questions concerning the English auction house Rosebery's that has grossly undervalued this drawing from the artist's critically acclaimed work on the monastic life. Roseman's work earned him the honor of being the first American artist to have a one-man exhibition at the world-renowned Albertina. 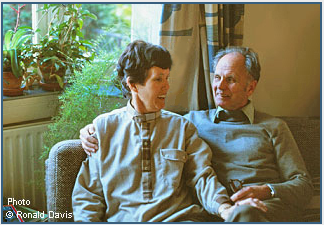 In the summer of 1978, Stanley Roseman and Ronald Davis were in Holland where they met a Dutch couple Arie and Ennie Meesters - a fortuitous occurrence of great significance in the early months of the artist's work on the monastic life. 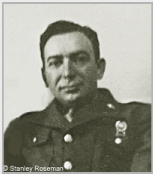 Arie and Ennie Meesters were of the Protestant faith, Ronald Davis is of the Roman Catholic faith, and Stanley Roseman, of the Jewish faith. 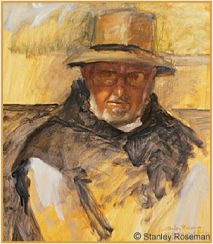 The friendship between the Dutch couple and the American partners fostered ecumenicism with which the artist and his colleague had begun their work in the monasteries. in Haarlem, the Netherlands, 1979. For five seasons at the Metropolitan Opera, Roseman drew at dress rehearsals and performances of productions from the exciting world of opera. The Meesters were about to trade in their Peugeot for a newer model. The kindhearted Dutch couple offered their present car to Roseman and Davis to facilitate their travels to monasteries and help bring to realization Roseman's oeuvre on the monastic life. Stanley Roseman - An Artist's Journal republished in 2016 with additional text and imagery. Please note that the websites were prepared for Internet Explorer 11.